Clarke Quay is more than a nightlife-only destination. In fact, it is a foodie’s heaven with its 20 over restaurants that open are in the day for lunch! With the area being shielded from the sun and heat, we really enjoy breezy lunches at Clarke Quay. Clarke Quay is actually a family-friendly area by day with a plethora of mouthwatering dining options. To add on to the fun, from 06 Dec 2015 to 24 Jan 2016, Clarke Quay is holding a Sports Carnival every Sunday from 1pm to 6pm. Expect inflatable darts, giant bowling, football, kids-dine-free, as well as 1-for-1 promotions! Shove work aside, pick a Sunday and take the time to bond with your family over fun activities and hearty meals; there is nothing more precious than spending time with your loved ones. There are actually 8 Child-Friendly Clarke Quay Restaurants – of which five of them are giving away free* meals to children! Besides attractive promotions and fun games, Clarke Quay precinct is also offering free parking on Sundays with every S$20 spent and the opportunity to win exciting prizes such as a staycation at Novotel Singapore Clarke Quay and dining vouchers. 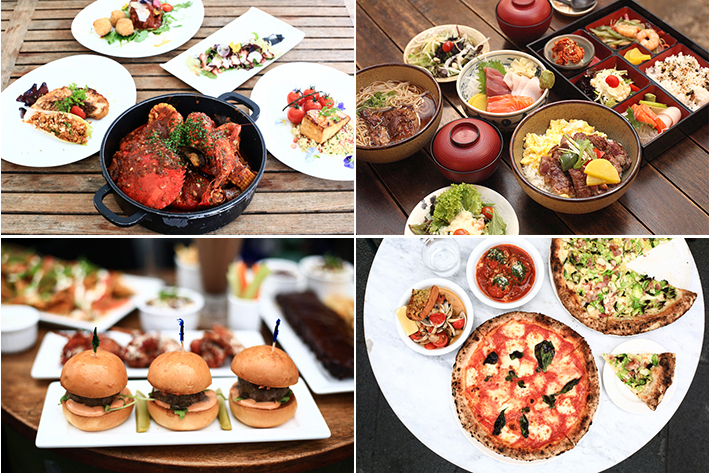 There are so many reasons for you to check out Clarke Quay and re-discover Singapore once more, and those with families, here are 8 Restaurants at Clarke Quay, and kids dine for free for most of them. Experience Perth’s famous Fremantle Seafood Market right at Clarke Quay itself. 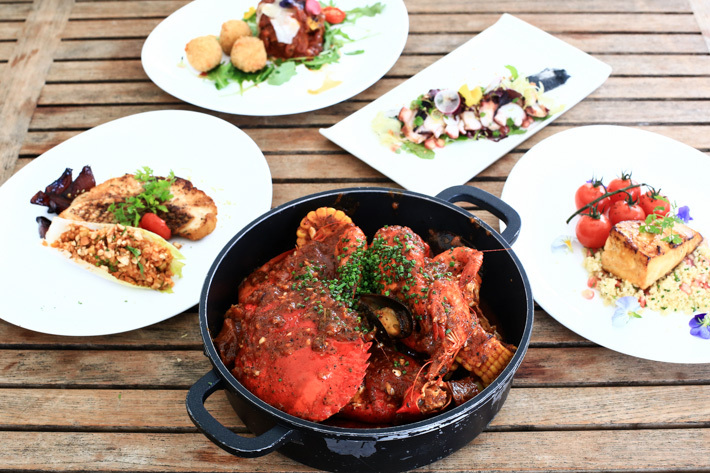 Fresh seafood is air flown into Singapore and diners can dig in to Braised Monkfish, Grilled Red Snapper with Cous Cous, Orange Miso Cod, and a Crabilicous Bag with Sri Lankan Crab, Mussels, Prawns, Chorizos and Corn. A child below 7 years old gets to dine for free* with every two paying adults. This offer is available throughout the day on Saturdays and Sundays. 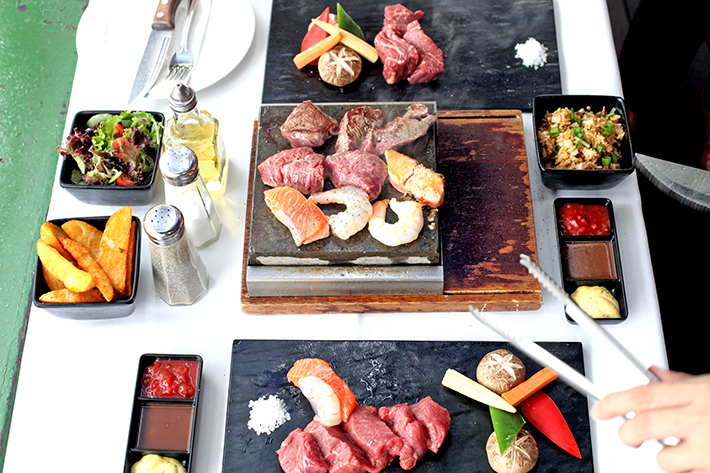 Hot Stones has taken dining to a whole new level with their sizzling volcanic stones. The Premium Surf and Turf (S$45++) is for seafood lovers, where you get to cook Australian Tenderloin, Salmon and Tiger Prawns. Want your beef fix? The Tajima Wagyu Sirloin (S$78++) is for you. Diners also get a choice of side salad, potato wedges, garlic rice or mashed potato with every Hot Stone order. Fun fact: You can choose to dine outdoors on the last 2 surviving Tong Kangs in Singapore for the same price. Those familiar with the streets of Brooklyn and Manhattan would have heard of award-winning Motorino Pizzeria’s wood-fired pizzas. The well-loved pizzeria has since expanded beyond the Big Apple. Yes, we can, too, have a slice of New York City at Clarke Quay now. 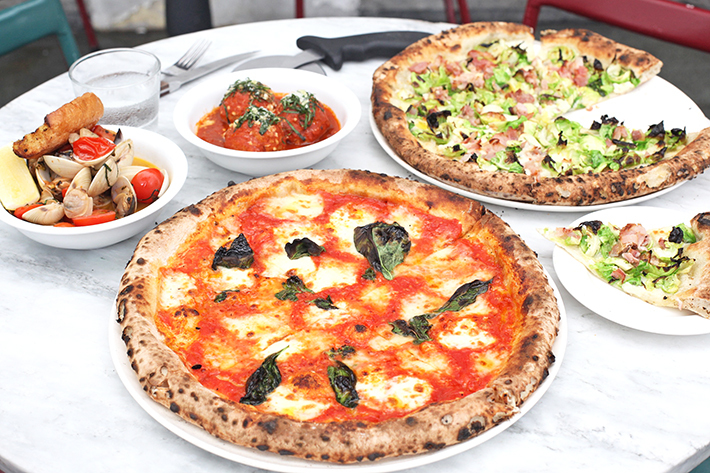 Bestselling pizzas include Proscuitto & Roquette (S$29++) and Margherita (S$22++). Their Motorino’s Meatballs (S$15++) and Steamed Clams “Al Bianco” with Oregano Garlic Bread (S$16++) should please your kids, too. 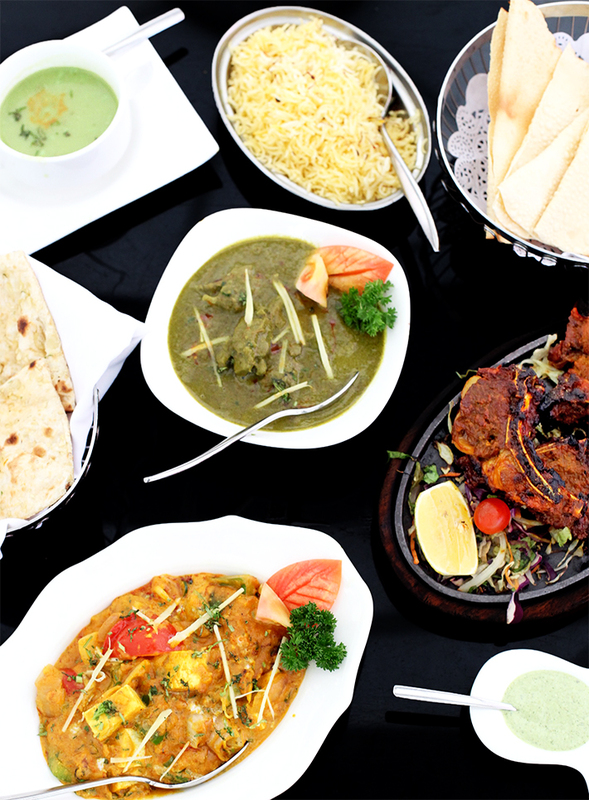 RAS The Essence of India is the most popular Indian restaurant in Clarke Quay for fine Indian cuisine. We are so addicted to the Lassi (S$8++), an Indian fruity yogurt drink. Our favourite main is the savoury Garlic Naan (S$8++), to be eaten with Dhaniya Murg (S$26++) – boneless pieces of tender chicken cubes cooked with coriander, onion, tomato and a myriad of Indian spices. With every two paying adults, a child under 9 gets to dine for free*! This promotion is valid on Sundays from 11.30am to 2.30pm. The complimentary kid’s meal consists of either a vegetarian / non-vegetarian curry served with naan/ roti and rice. RENNThai is a modern Thai restaurant that strives to serve homestyle Thai cuisine with an exquisite dining experience by the Singapore River. 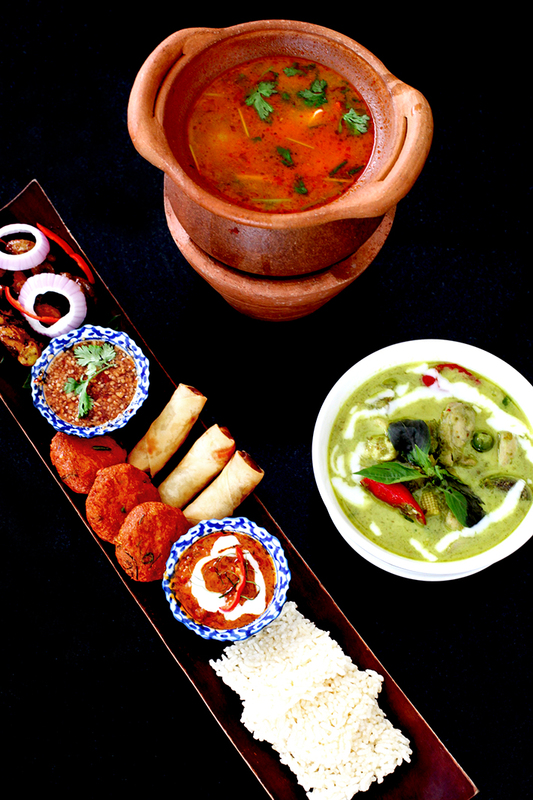 Alfresco dining over wholesome Thai food with your loved ones sounds like a great idea, right? The appetiser of Si Ahan Wang (S$24++) – a combination of bite-size Thai snacks – makes a great sharing platter. Other signature items include the piping hot pot of Green Curry with Beef or Chicken (S$24++), and the unforgettably robust Spicy Sour Tom Yum Soup with Seafood (single serving – S$12++, sharing pot – S$24++). 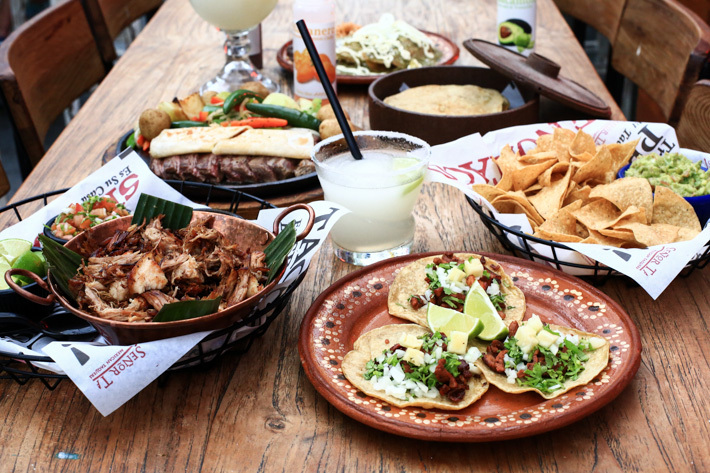 Señor Taco is where you head to for a delectable spread of authentic Mexican dishes. 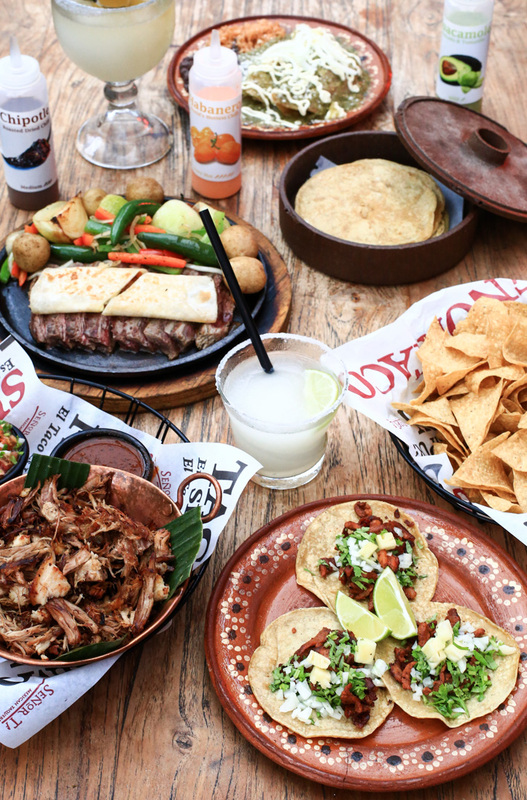 From marinated Al Pastor Pork Tacos (S$7++), 14-hour braised pork Carnitas (S$28++), Chicken Enchiladas (S$24++), homemade Guacamole & Chips ($16++) to Sizzling Fajitas (S$28++), the menu is authentic and truly impressive. But of course, we cannot get enough of their awesome beer-margarita Corona-Rita (S$28++) too. A child dines for free* when two paying adults spend a minimum of S$60++. This value-for-money promotion is valid on Saturdays and Sundays. The kid’s free meal includes two Classic Quesadillas (choose from beef, chicken or vegetable pork), chips and salsa. 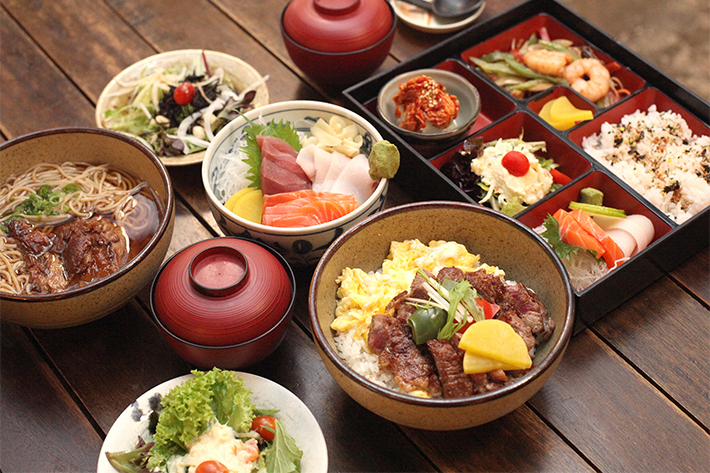 Set foot in Japanese restaurant Tomo Izakaya and you would be instantly teleported to Japan. From low tables, sakae bottles to imprinted lanterns, everything in Tomo Izakaya reminds us of a typical izakaya in Japan. Tomo Izakaya enjoys its popularity these years by serving superbly fresh sashimi and wallet-friendly bento sets that are priced at S$15 nett. On Saturdays and Sundays from 12pm to 3pm, diners are in a treat. Enjoy 1-for-1 Udon and Soba (choose from Gyuniku Beef, Soki Pork or Kitsune Beancurd). Kids also get to dine for free*! Lending flavours from all over the world, Wings Bar has a huge selection of chicken wings and mains. 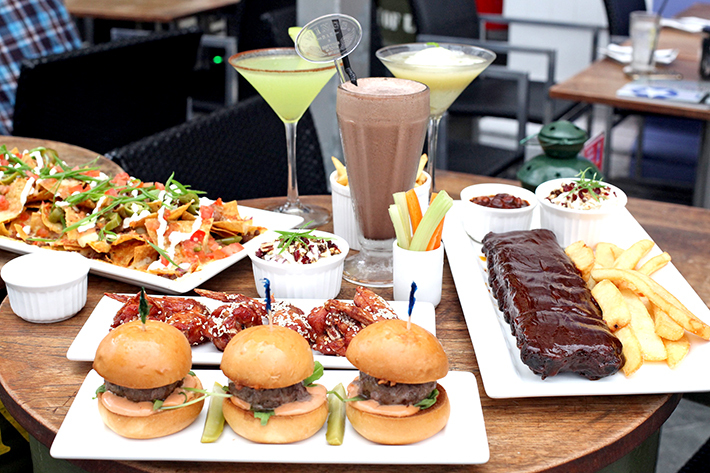 The aviation-inspired eatery is not all about having the ‘Best Wings in Town’, as they are also immensely proud of their ribs! If you cannot make up your mind, we recommend the Hickory-Smoked BBQ Combo, where diners get a half rack of BBQ ribs of their choice, six signature wings, chunky fries and fresh coleslaw. Best of all worlds, no? Please visit www.clarkequay.com.sg for the full list of Clarke Quay’s #SundayFunBrunch Promotion. *Promotion is valid from 06 December 2015 to 24 January 2016 and not valid on eves of Public Holidays and on Public Holidays, unless otherwise stated. Other terms and conditions apply. Check in-store for more information.